WooCommerce thankyou page plugin lets you create multiple thank you pages for your online store. 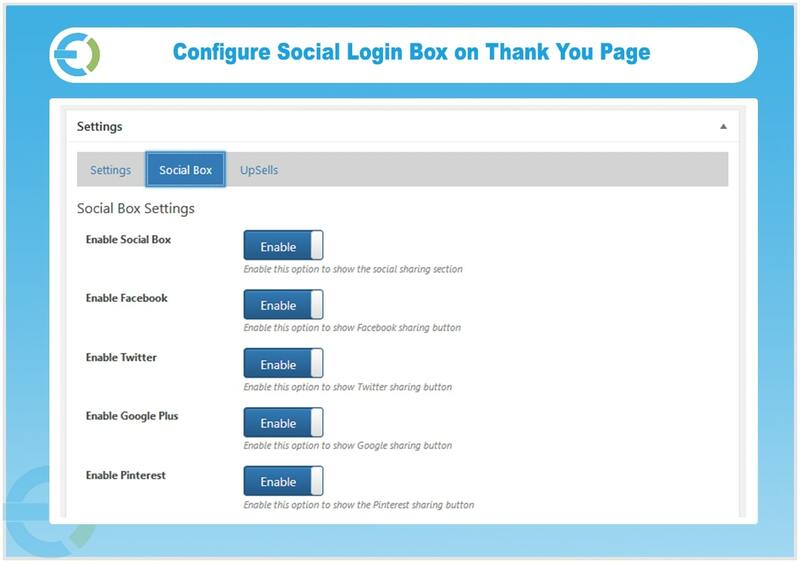 Display social sharing box, upsell products, customer details & order table on custom thank you page. 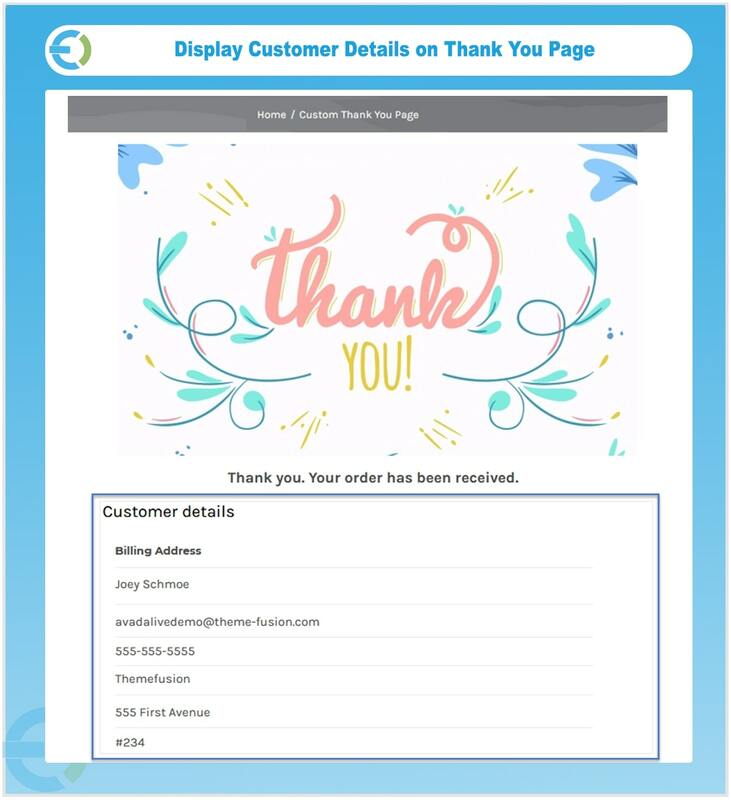 You can create rules to display thank you page based on specific products, categories, & payment method as well. 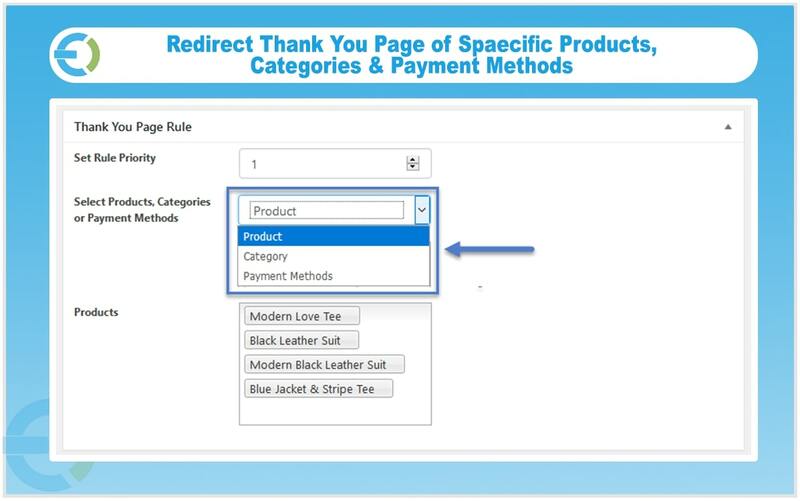 It also allows you to redirect default thank you page to the specific product, category, CMS page, or custom URL. 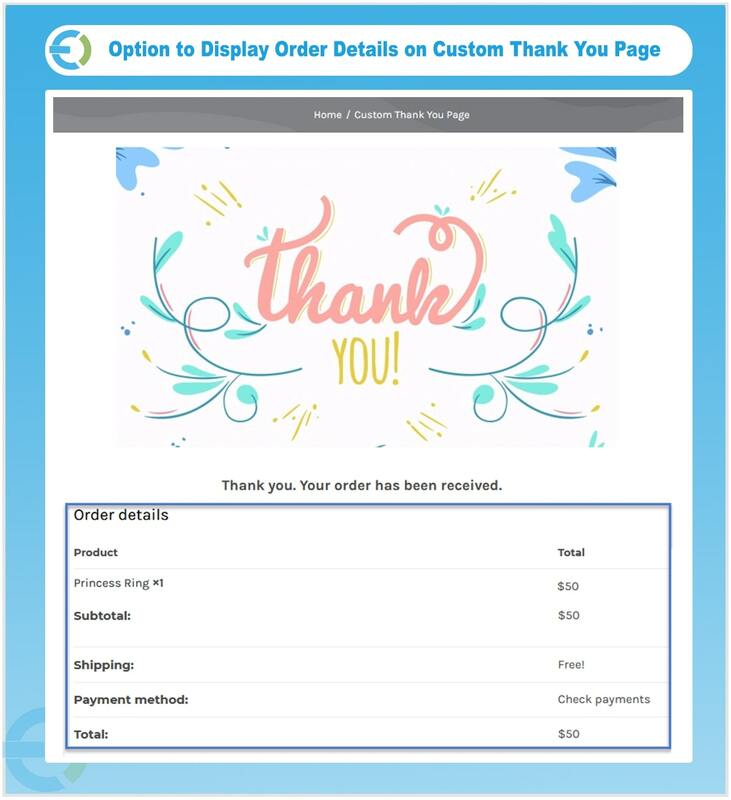 WooCommerce custom thank you page plugin allows you to create multiple thank you pages for your e-store. 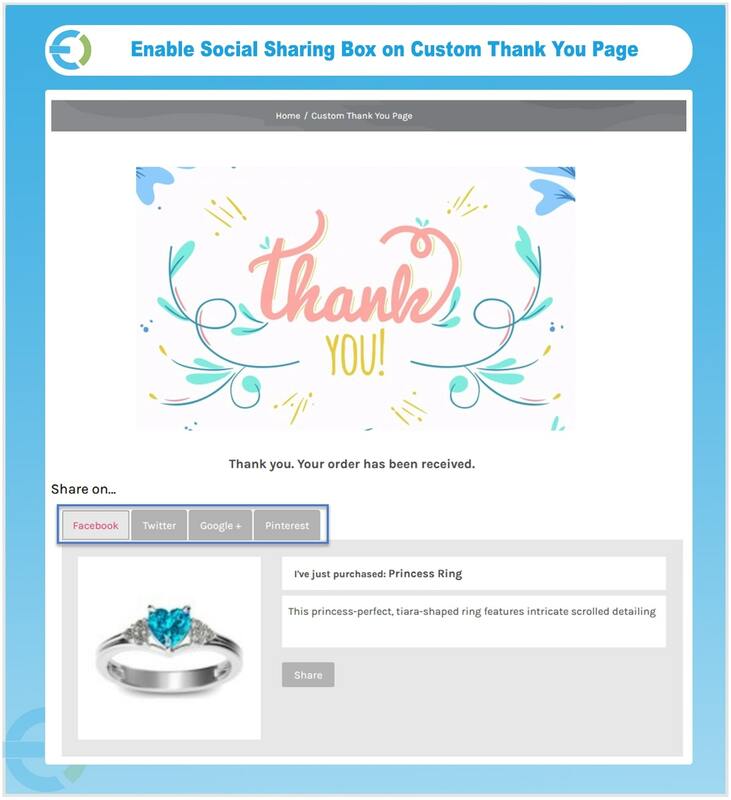 You can display header, order details, customer details, upsell products, and social sharing box on custom thank you page. WooCommerce redirect thank you page plugin let you redirect customers based on specific products, categories or the payment methods they will choose. This plugin allows you to redirect customers from default thank you page to a specific product, category, or custom thank you page. You can add multiple rules if you have various custom thank you pages for each product or category. You can set the priority of each rule as well. 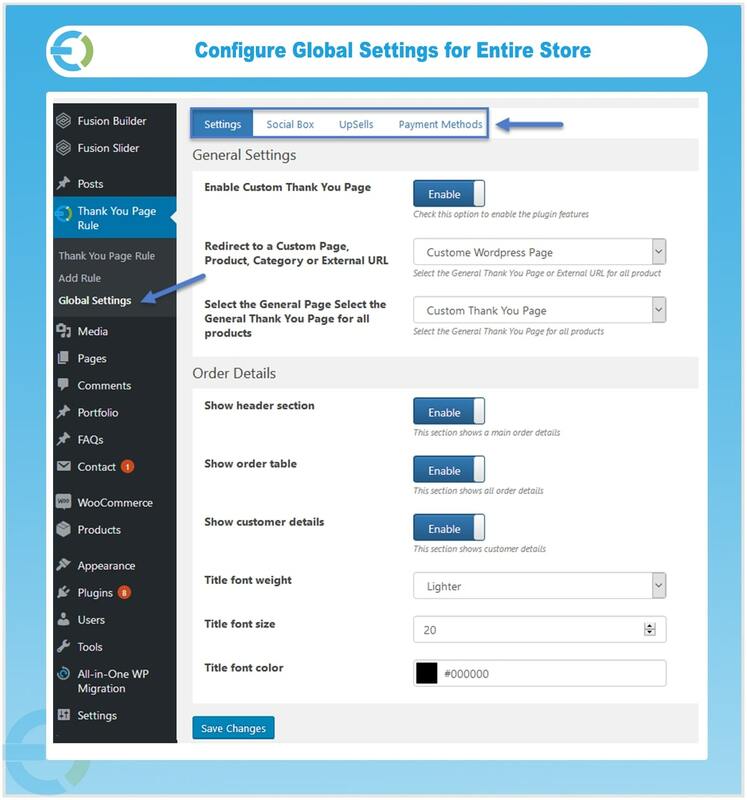 Rather than making rules, you can configure global settings to redirect all the customers of your e-store to a single custom thank you page. With WooCommerce redirect thank you plugin gives you the option to customize the style of variables for thank you page such as social sharing box, upsells products, and order details.